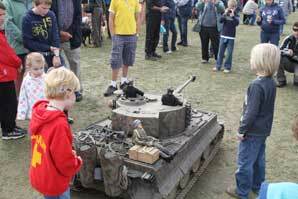 Headcorn Aerodrome, set in the heart of Kent Countryside, will again host the Southern Model Show. The airfield is always busy with Parachuting, Pleasure flights, Balloon flights, Helicopter flights and the Lashenden Air Warfare Museum. The Southern Model Show in association with the Maidstone Model Flying Club will feature a stunning array of model aircraft, helicopters, ships, tank and other vehicles. A full range of other activities and a show ground packed with traders makes this a must go event for anyone with an interest in this fascinating hobby whether a professional or a beginner. • £2.50 booking fee applies to each transaction, regardless of no. of tickets purchased. • Single Day Tickets undated and can be used on either day of your choice. With good access and parking, you should have a trouble free journey to the Southern Model Show even with 12,000 guests expected over the two days. Arrive early and stay late is the best advice as displays and activities will be taking place throughout the day. Children and beginners are especially welcome. Got a model you want to sell? Fancy picking up a second hand bargain? Come along to the very popular Bring and Buy stand. Who knows what you might find? 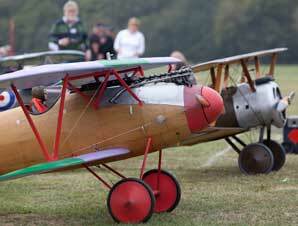 The flying programme will be exciting and varied, illustrating the full range of model flying in the UK and Europe. Through a series of set-piece displays, pilos will have the opportunity to display their aircraft in an historical context. D-Day will feature prominently as will the Battle of Britain - after all the show is being staged in Kent over the Battle of Britain weekend! The finale will be truely spectacular. Off-road 2wd and 4wd buggies, on road cars, tanks and other fighting vehicles, motorbikes, trucks, fast and furious racing - just about everything you could imagine will be on the ground. 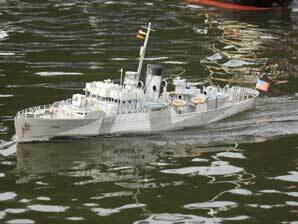 Paddlesteamers to battleships; lifeboats to submarines - a great range of water vessels will be taking to the high seas (or rather the large water tank!) demonstrating the endless fun you can have whilst messing about on the water. For just £69 - includes four adult tickets! A ticket for £69 gives you access to camping on the airfield and entry for 4 adults. Dogs are welcome to the event, but must always be on their leads. Please bear in mind there will be lots of loud bangs and noises, which may cause distress to your dog. Photography and filming is permitted for personal use only. The event is designed for all age groups and all are welcome. Booking your tickets is easy on our website. Please allow 3-4 working days for tickets to arrive. Tickets purchased 3 days prior to the event will be held on the gate for you. Camping is permitted booking in advance recommended. No overnight stay is permitted in the car park or other grounds. We have disabled parking and WC facilities. Although most of the ground is flat, the event is all on grass. Everything you could possibly need for Models (Aeroplanes, Cars, Boats, Tanks) and Arts and Crafts will be on sale. The trade stands will be situated throughout the event ground both inside and out.